The trick, of course, comes in figuring out a way to pay off the mortgage early. For individuals who live on a tight budget as it is, the thought of paying even more toward their mortgage may seem almost laughable. 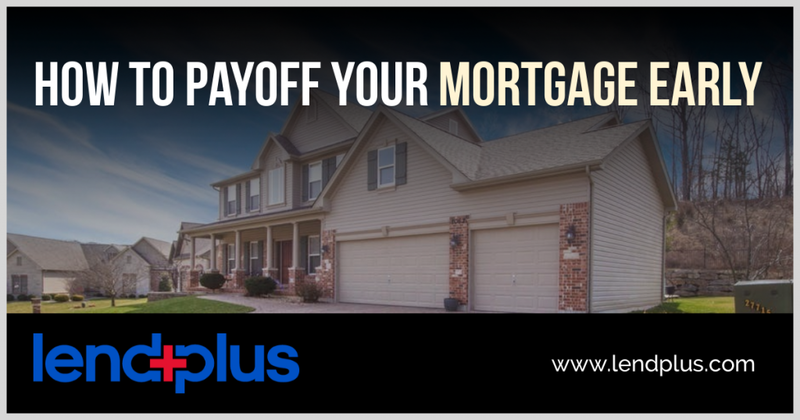 There are a number of ways that homeowners can pay down their overall mortgage in order to pay it off early without having to cause a strain on their finances, as well as services which can assist them in doing so if they aren’t able to accomplish it on their own. Here are just a few examples of how a mortgage can be paid off early without causing undue financial strain. If you don’t like the idea of having to keep track of savings over the course of the year, you might use income tax returns to help you to make up the difference. For many people, the amount that they receive in their tax returns is significantly more than their mortgage payment. While you may have at least some of your tax money earmarked for specific purchases or to pay off other debts, using part of that money to make the equivalent of an extra mortgage payment once per year can significantly reduce how much you owe. If you can afford to contribute more than just the amount of one payment or if you use this in conjunction with the savings plan mentioned above you can pay off your mortgage even faster. If you have a high-interest savings account, you can use that interest to help you pay off your mortgage ahead of time. Once or twice per year, pull out money from your savings that are equivalent to part of the interest that you’ve accrued and add it in with your mortgage payment. Provided that you have a high enough savings balance you should be able to make a significant impact on your mortgage debt by doing this. Over the course of the year, the amount that you add to your mortgage payments could potentially equal an entire extra payment or more. Should you worry that you can’t keep yourself motivated to keep making these extra payments, you might consider using a bi-weekly mortgage service. These services automatically withdraw one half of your mortgage payment from your checking account every two weeks, and then make your payment for you when it comes due. The system works similar to the paycheck savings plan mentioned above, but since you have an outside company doing the work for you all that you have to do is make sure that you have the money in your account to cover the withdrawals. Though the services do charge fees to cover their costs, the amount that you save in interest payments will be significantly more than what you pay for the service.